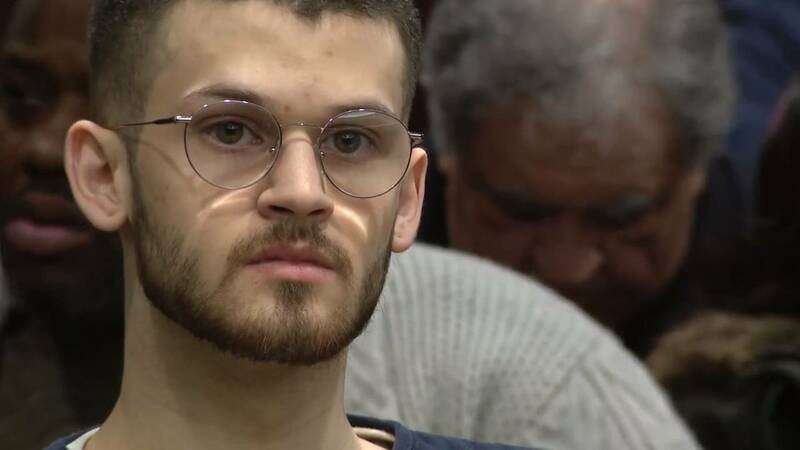 MACOMB TOWNSHIP, Mich. - Andrew Fiacco was sentenced Thursday to at least 52 years in prison for the murder and dismemberment of 19-year-old Stephen McAfee. 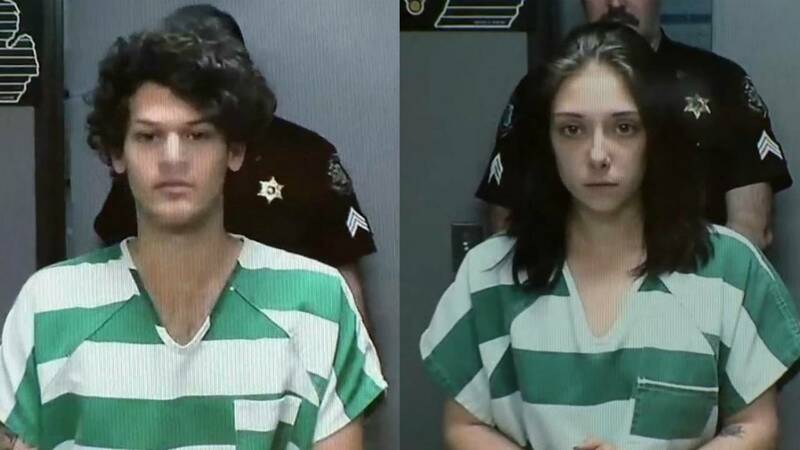 Fiacco, 21, was charged with McAfee's murder after the Macomb Township teen's remains were found in April 2017 at a vacant property in Bruce Township and near Fiacco's home in Ray Township. McAfee had been missing since March 2016. 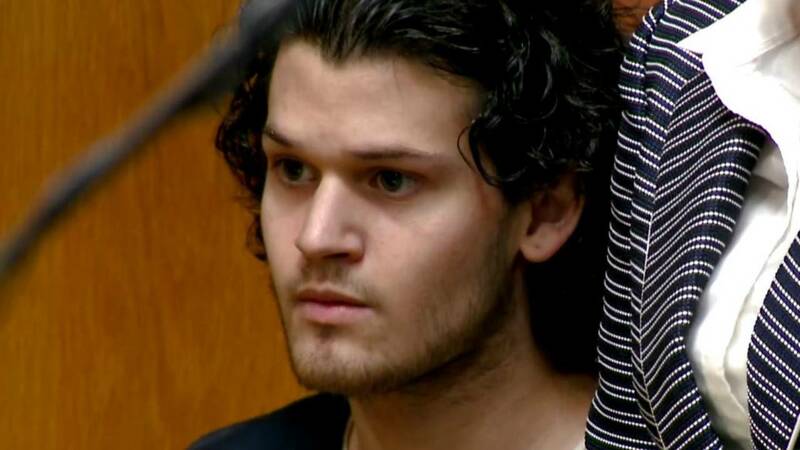 Fiacco was charged with first-degree murder, but a jury found him guilty of the lesser charge. His defense argued he acted in self-defense. While McAfee's family members -- his father, mother, sister and brother -- spoke at the sentencing on Thursday, Fiacco broke down in tears. McAfee's brother told the court not to believe Fiacco's "crocodile tears," calling him a "sociopath" who is a threat to his family and "society as a whole." The family members all pleaded for the judge to sentence Fiacco to the maximum punishment allowed. Fiacco was originally charged with first-degree murder, disinterment and mutilation of a body, lying to a police officer and felony firearms violations. A jury found him guilty of second-degree murder, felony firearm, dismemberment and mutilation of a body and lying to a police officer. Judge Jennifer Faunce said she didn't think he could be rehabilitated as she handed down a prison sentence of 52-66 years in prison. Before the sentencing, defense attorney David Griem blasted the McAfee family members for blaming Fiacco's mother for her son's past behavior. Griem called their statements "cheap shots" and said the McAfee family was trying to paint Stephen in a better light. Judge Faunce said she wasn't in court to sentence the Fiacco or the McAfee families. "I think Andrew Fiacco has sentenced all those people himself. You (Andrew) destroyed not only Stephen's life, but his family and friends' (lives). You've destroyed your family's life, as well as your own," said the judge. "And then for 13 months you let everyone wallow in fear and distress, and hope was there as well, which I think is the worst part. Despite them reaching out to you, you continued to lie. You gave nothing away. You even told Mrs. McAfee you were a better person now. The only reason you did tell someone was that you needed assistance, to continue the crime, to continue to hide and to continue to leave everyone distraught." Eevette MacDonald was accused of helping Fiacco dispose of McAfee's body and lie about it for more than a year. Originally she was charged with accessory after the fact to a felony, disinterment and mutilation of a dead body and lying to a police officer. MacDonald struck a plea deal in December, pleading guilty to the first two charges in exchange for the dismissal of the lying to a police officer charge. 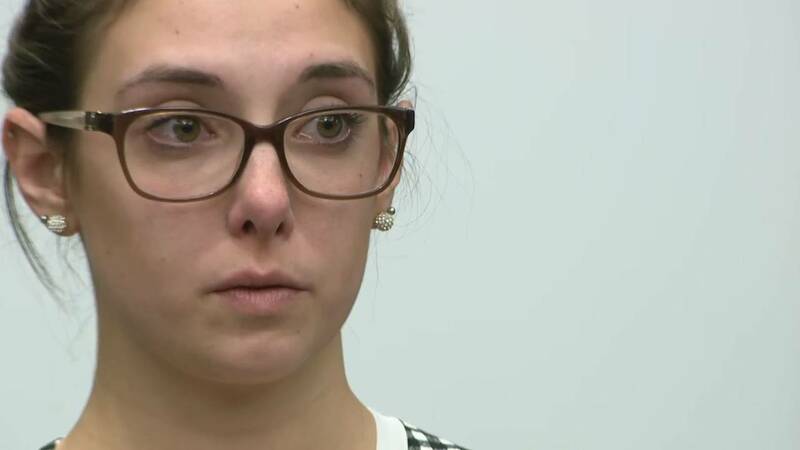 That plea was officially accepted in court before her sentencing was handed down. She was sentenced to a year in prison and three years of probation. She could have faced up to 10 years in prison for the disinterment and mutilation of a dead body conviction, but Judge Faunce sentenced her to just the one year of incarceration. MacDonald was 18 at the time the charges were issued and she remained free on bond before her sentencing. McAfee's father, mother, older sister and older brother all offered victim impact statements at MacDonald's sentencing. His mother, Susanne McAfee, said when the detective working on Stephen's case told her he had been murdered, he asked her if she had any idea who killed her son. She said she knew right away. "(The detective) asked me, 'Who do you think did it,' and I then responded, 'Andrew Fiacco.' The detective said, 'Yes, you are right," said Susanne McAfee in court. Lower extremity remains and a skull were found buried near Fiacco's home in April 2017 in Ray Township, investigators said. At a second location in Bruce Township a lower jaw bone and clothing were found, investigators said. Positive identification was made from the evidence found at the Bruce Township location, which is near 34 Mile Road and Van Dyke. Sheriff Anthony Wickersham said this is a vacant plot of land. Fiacco was originally charged with first-degree murder, disinterment and mutilation of a dead body, lying to a police officer and felony firearms violations. 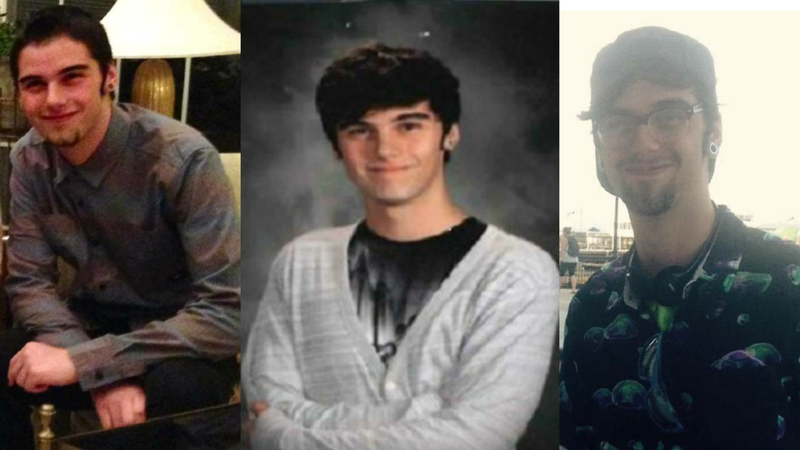 Investigators had been working to find McAfee and figure out what may have happened to him since March 13, 2016 when the Macomb County Sheriff’s Office took a report of a missing person from McAfee's family. According to court records, the murder happened March 10, 2016. Click here to view the timeline of events in the Stephen McAfee murder case. That's until March 2017, a year after McAfee went missing, when MacDonald allegedly told her friend she knew what happened to McAfee. MacDonald said her ex-boyfriend, Fiacco, shot McAfee to death in a wooded area in Bruce Township, according to investigators. Investigators said MacDonald's friend went to the Sheriff's Office, with her father, on April 26, 2017 and told investigators MacDonald confided in her that she helped Fiacco dispose of McAfee’s body a month after Fiacco shot him in the woods in Bruce Township. Andrew Michael Fiacco and Eevette Renee MacDonald at their arraignments April 28, 2017. McAfee's remains were found the next day, April 27, 2017. Fiacco led investigators to both locations where the remains were found. Investigators said Fiacco eventually admitted to shooting McAfee in the face when McAfee allegedly attacked him. But that was after a year of Fiacco denying he had any knowledge of McAfee's disappearance.